Have you ever failed taking a picture by missing timing ? Is not that the child has gone to blink at the same time as pressing the shutter? If you have a camera which can take pictures serially, you may not miss chance. 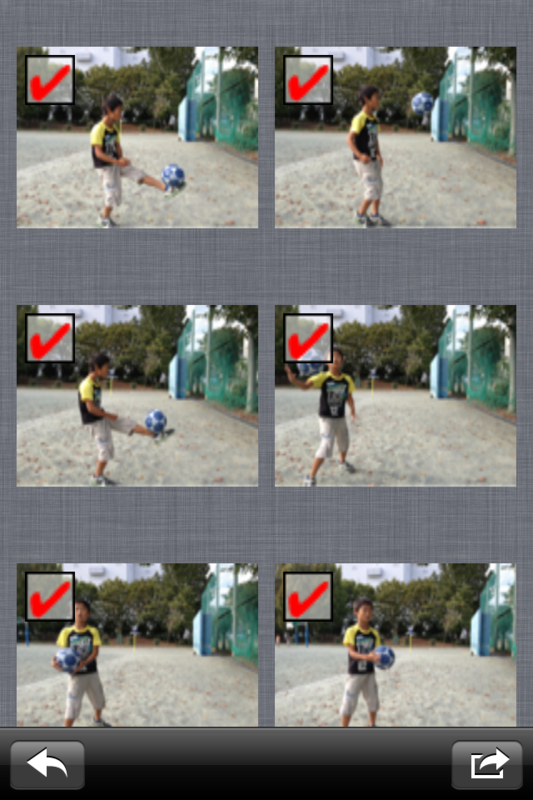 This application can take up to 12 pictures serially. Resolution of pictures is best quality on your device. Serial Shut Camera support 13 of filters (and 4 filters are added on iOS 6). You can apply any filters in prevue detail panel. Parameter of each filter can be configured. 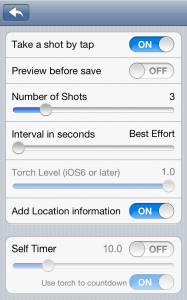 You can turn on / off torch if your device have torch. 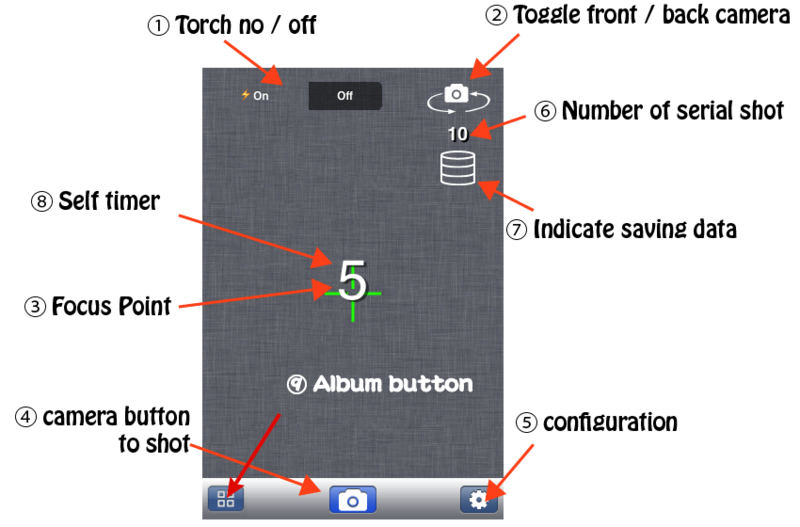 You can toggle front / back camera. You can move focus point by long tap screen. In order to take a shot, tap camera button or screen. Indicate remaining of serial shot. Indicate if saving data in background. Indicate remaining of second for self timer. You can select picture which save on your device. You can apply filter effect on your pictures. Single tap: Take a shot. Start self timer. Double tap : Reset focus point. Long tap : Move focus point. 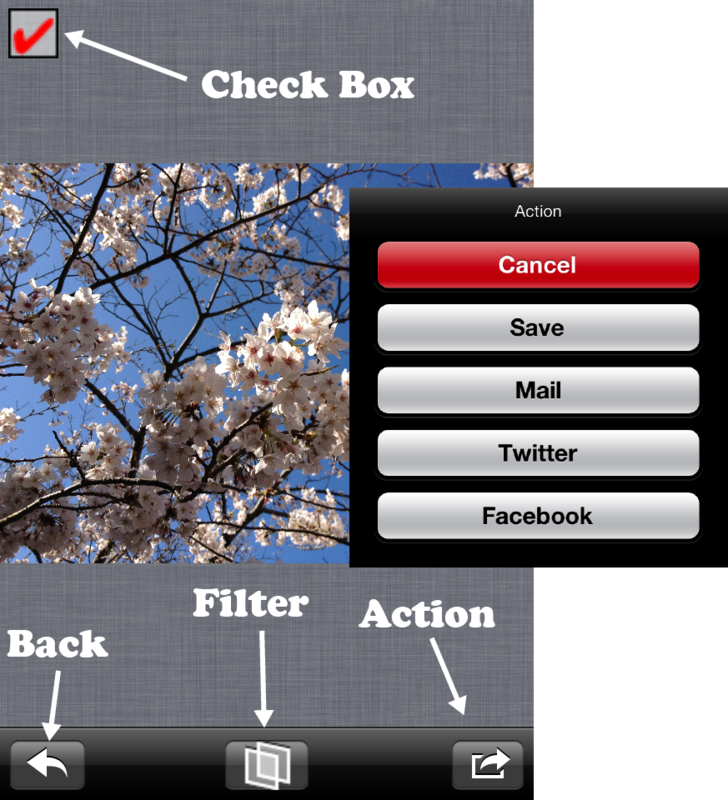 You can cancel serial shot and self timer by tapping camera button or screen. on : You can take a shot by tapping screen and camera button. off : You can take a shot by tapping only camera button. on : Preview pictures before saving data. off : Saving picture immediately. Select number of serial shot. Interval time of each shot in second. 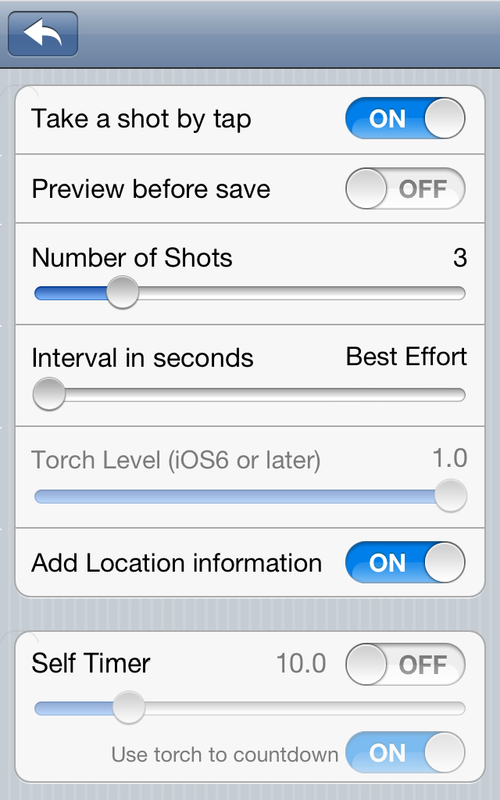 You can select torch brightness level. You can use self timer. If your device have a torch, it can be used for count down. Select / Unselect for saving. By tapping picture, you can see detail. You can save selected pictures. After you tap “Done”, all unsaved data will be deleted. You can select / unselect for previous page. Save : Save this picture. Mail : Attach this picture to attach mail to send. Twitter : Attach this picture for Twitter. Facebook : Attach this picture for Facebook (iOS 6 or later). By swipe picture, you can zoom in / out to see detail. You can apply and adjust filters. 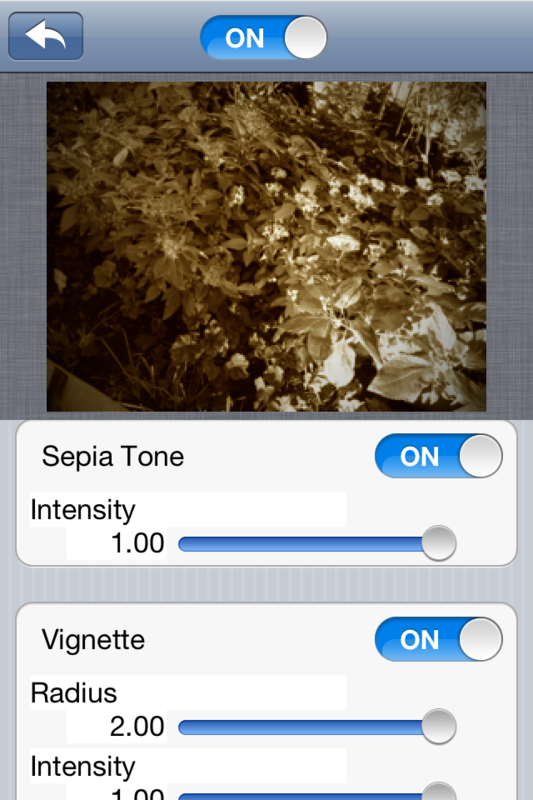 In iOS 6, flowing filters are added.